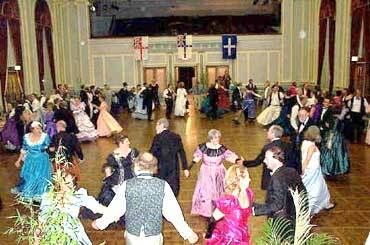 The first couple of Colonial Balls were held at the Australian National University. This year the Colonial Ball will be held in the Hall, University House, and we hope to encourage dancers to attend the ball, see the beautiful Floriade and participate in the Woolfest at the historic Lanyon Estate. To celebrate spring in Canberra it would be wonderful to see the guests include some floral decoration on their gowns or in their lapel buttonhole. In 1980, Judy Baker conceived the idea of a Colonial Ball as a “posh do” creating an occasion for dancers to dress up and the inaugural ball was held in March. 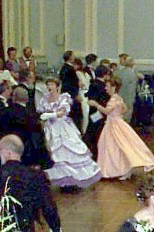 The essence of “poshness” has remained with dancers dressing in period attire and the formality of booking dances on a dance card, as guests mingle, before the ball. Judy will, once again, be calling the dances, as she did for the first ten Colonial Balls. This year she will team up with the band Stringfiddle featuring Bob McInnes. 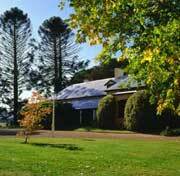 Picnic to be held at the Lanyon Estate’s Woolfest with free entry if you are attired in suitable colonial dress. (Moleskins and Colonial Daywear may be preferable to Ballgowns.etc). Commencing at midday Sunday 24th September. Bring a picnic lunch and enjoy the fun.